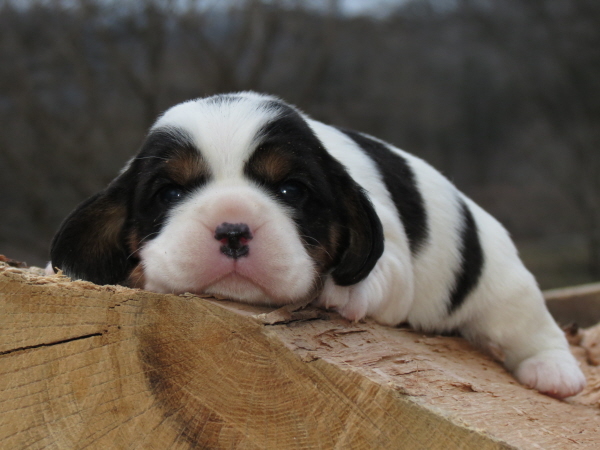 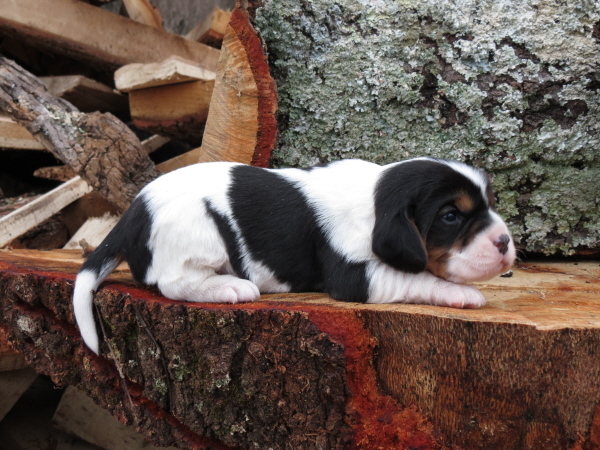 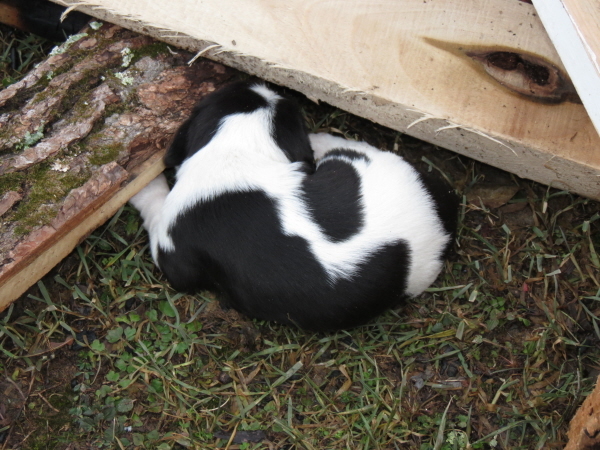 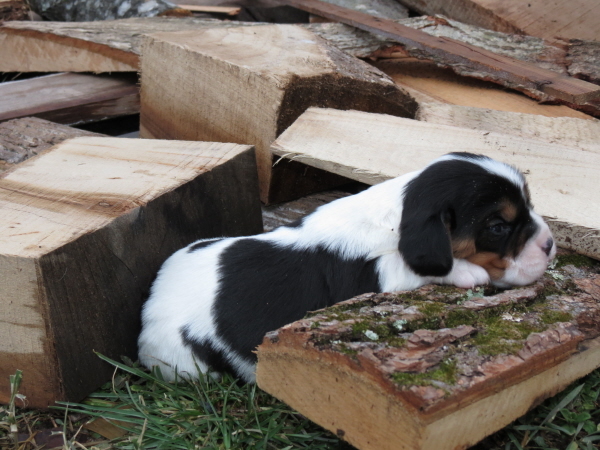 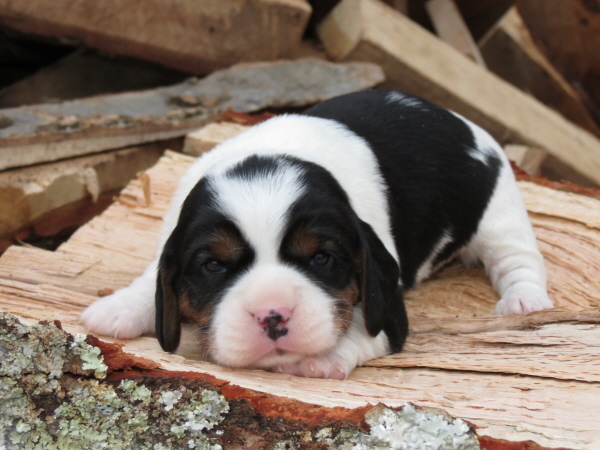 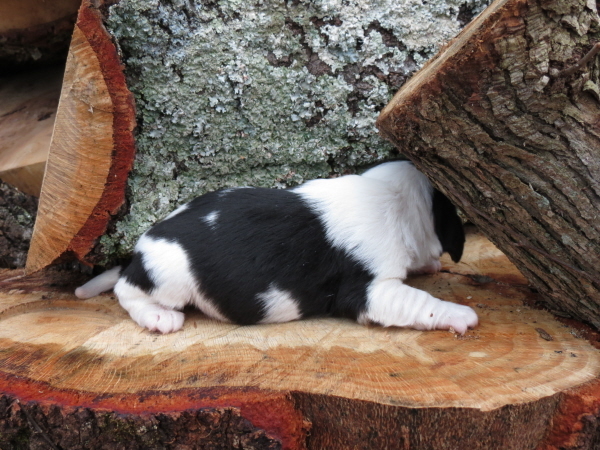 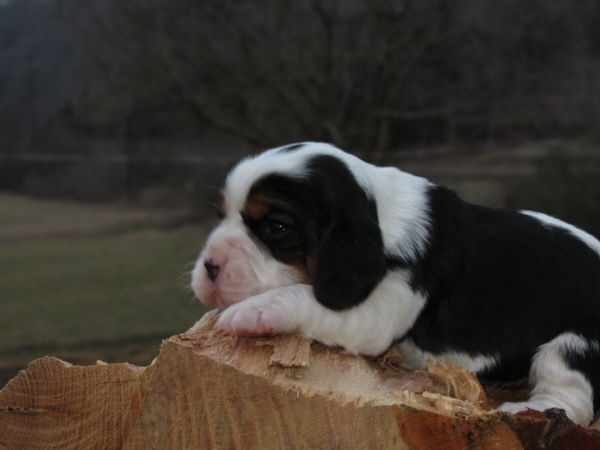 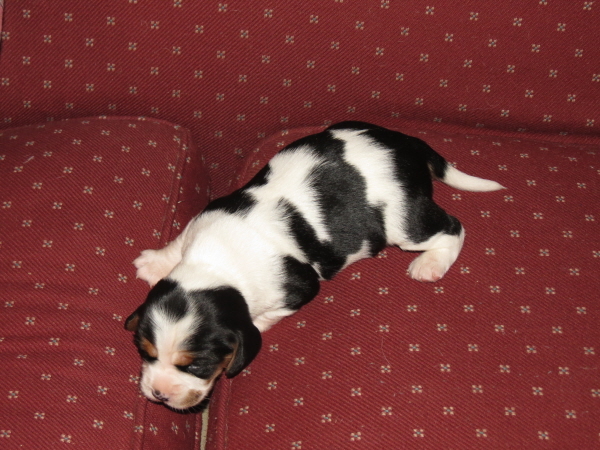 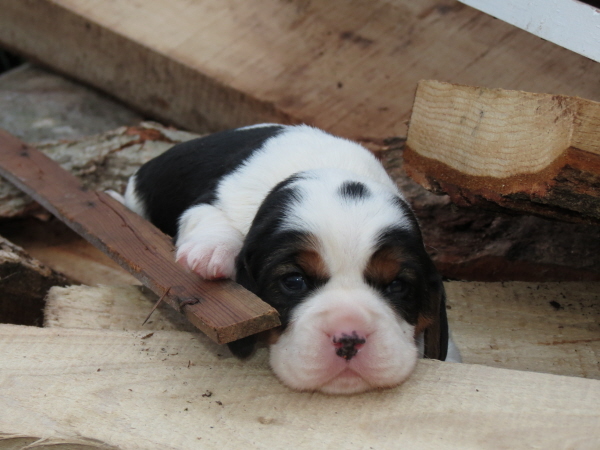 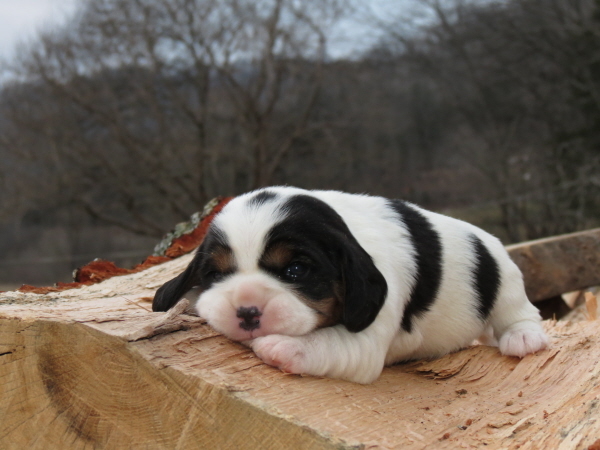 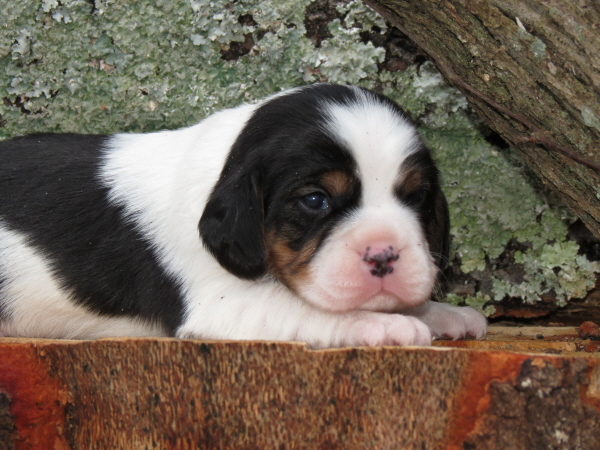 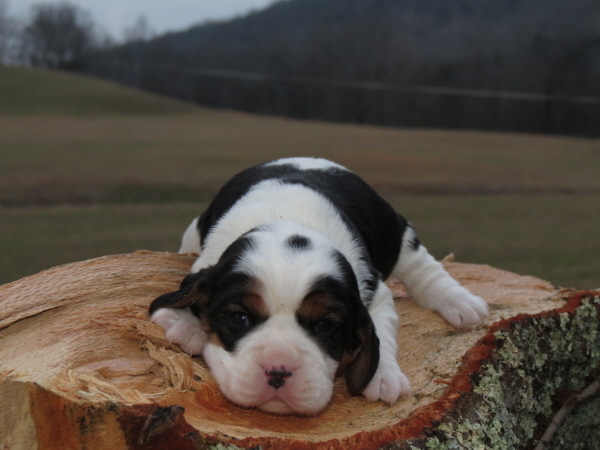 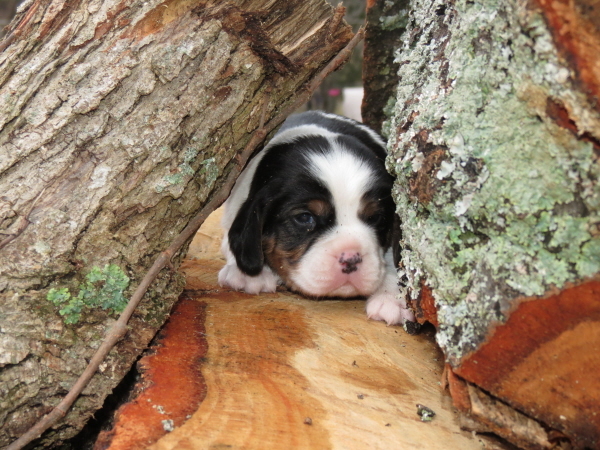 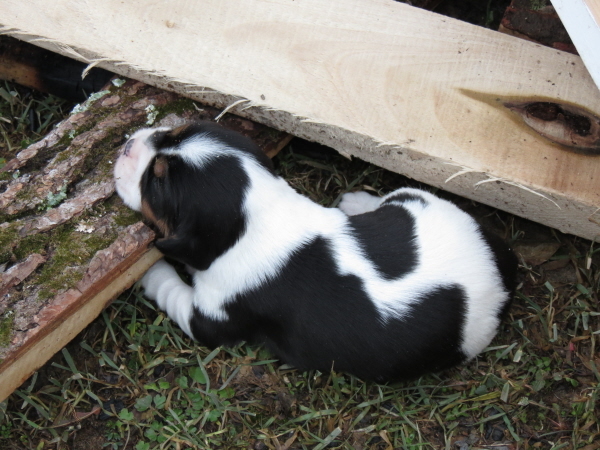 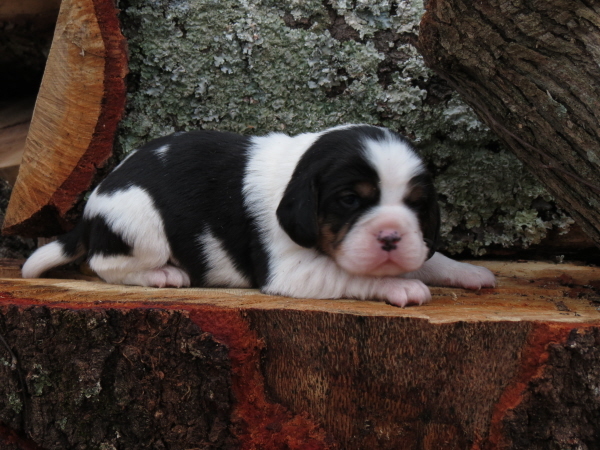 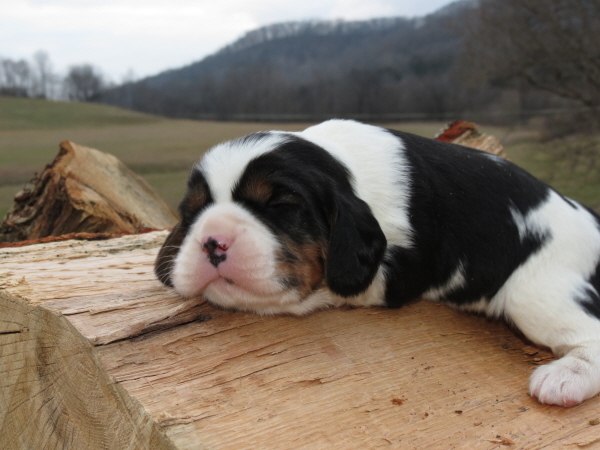 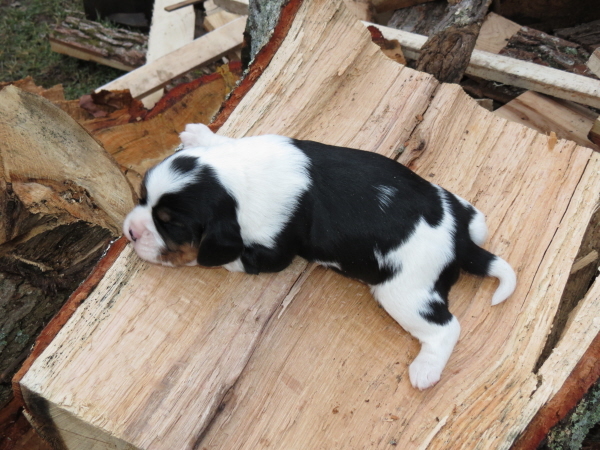 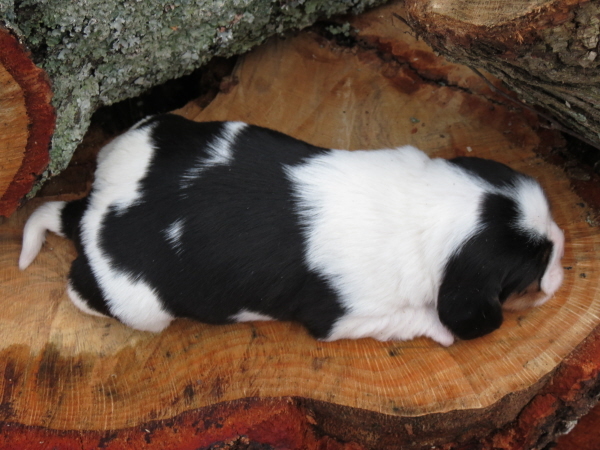 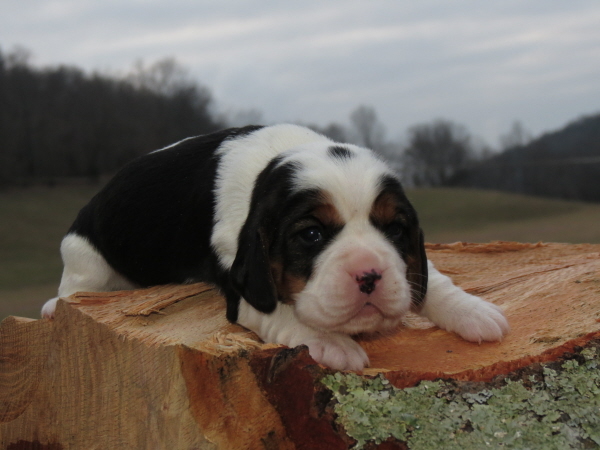 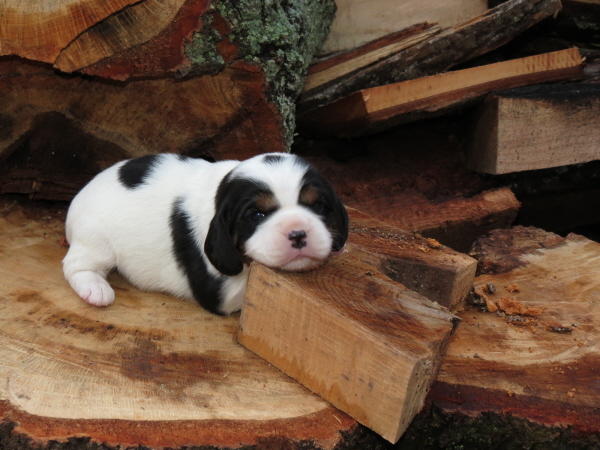 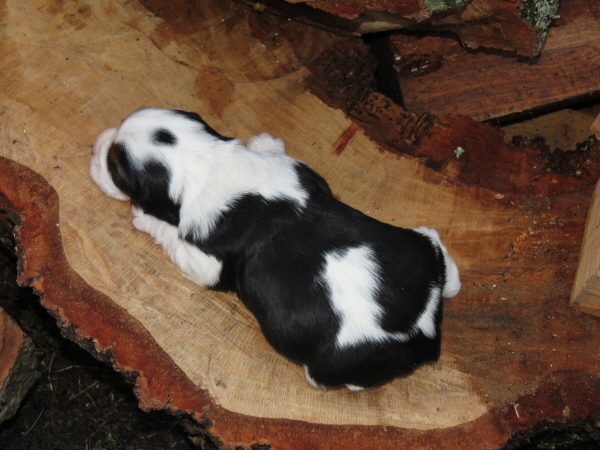 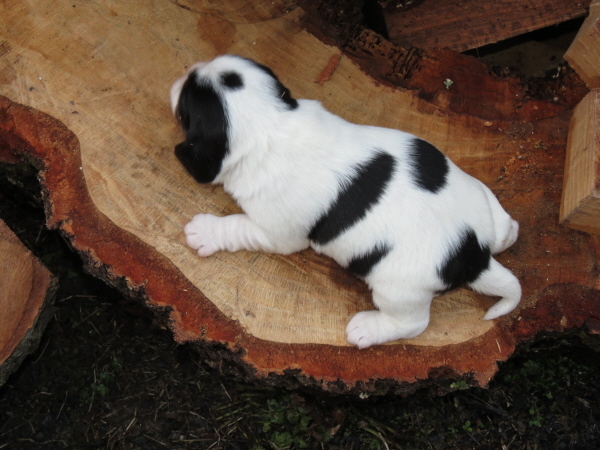 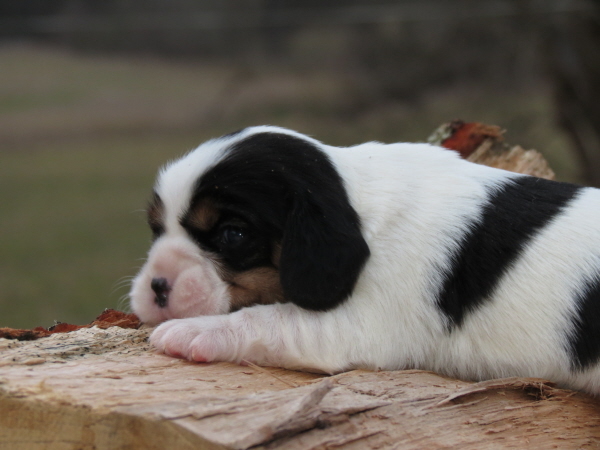 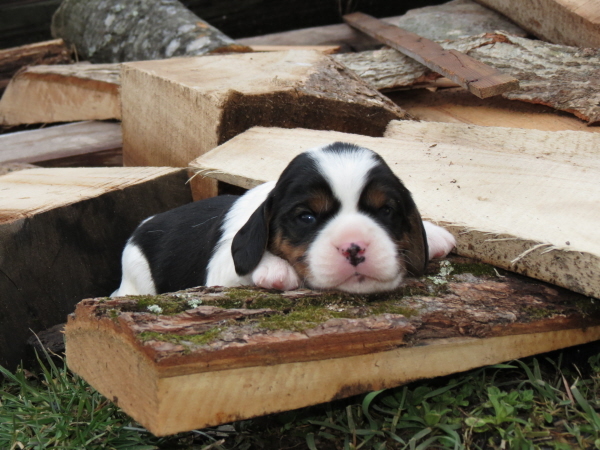 Rosie’s Puppies – 2 Weeks! 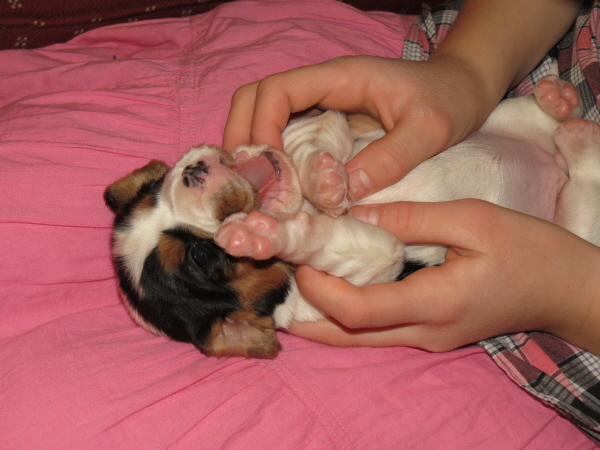 Rosie’s puppies have opened their eyes and are starting to get mobile! 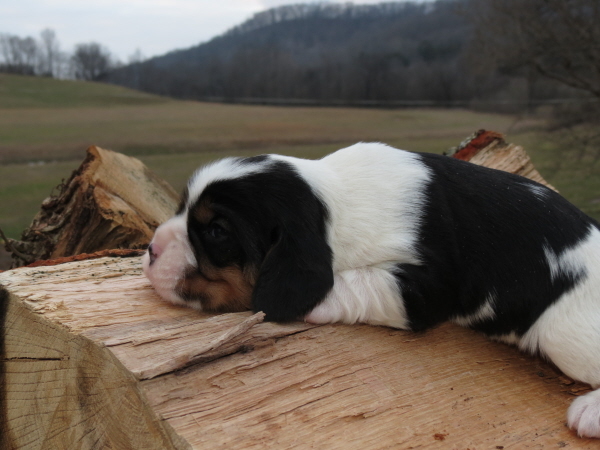 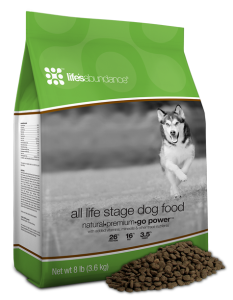 They are all reserved except for one male … and he may be reserved soon. 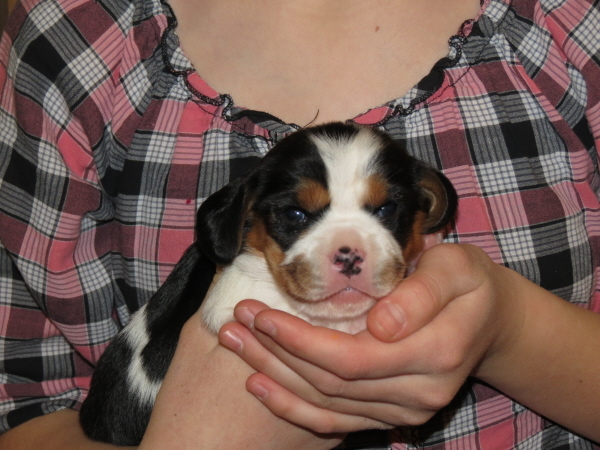 This is Sally – also known as Girl1 in previous photos! 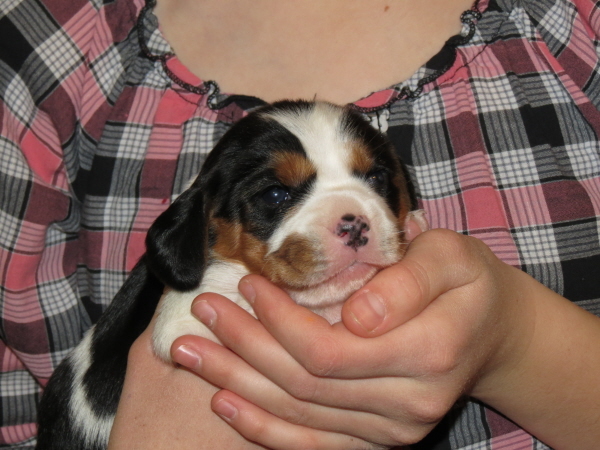 This is Shelly – aka Girl2! 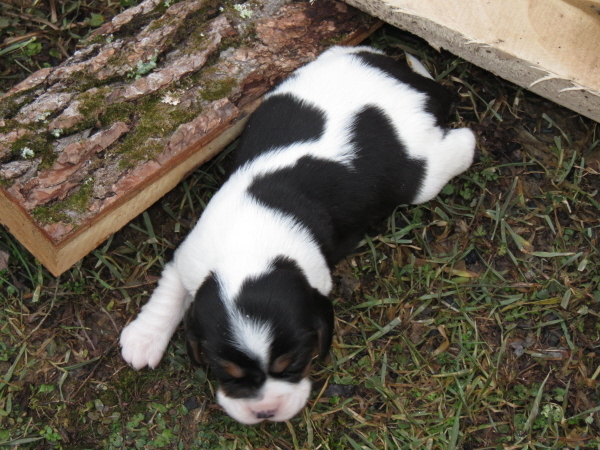 This is Sam – aka Boy3! 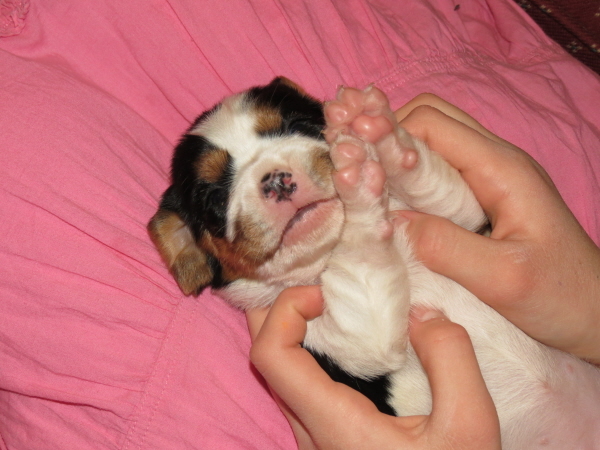 And this is Socks – aka Boy2!